We are a counselling service aimed at meeting your individual needs. We are a highly experienced team of psychologists. We believe that every person is unique and deals with their problems in different ways. It is our job to help you navigate your way through life’s journey. We try and make this process as simple and as straight forward as we can. Individual counselling is a powerful form of personalised counselling. In partnership with your psychologist, you will spend the first session working through where you are at now and where you would like to be. This may involve a discussion of your problems or it may just look at any area of concerns in your life. After the first session, looking forward, your psychologist will talk through the best possible treatment options allowing you to decide what you would like to do. This partnership approach will help you work out your goals and provide you with the support you need to move forward. Sometimes it is best to look at your problems as a family. That is because many of our problems impact on the whole family. Lifespan offers family counselling and support to families for a variety of needs. Examples might include: relationship problems, separation and divorce, blended and extended families, grief, suicide, disability, ageing parents and illness. Lifespan includes specialist psychologists for all youth issues. Young people may wish to talk about a range of issues in an engaging, non-judgemental and safe space. Our psychologists are experienced with your problems and are able to help you to explore your feelings & address the things that really effect you. Examples include: mood problems, anxiety and depression, relationship problems, family problems, difficulties with school, peer group pressures, sexual identity, bullying, alcohol problems and other drug addictions, anger management and communication skills. Am I spending enough time with my children? Am I doing the right thing as a parent? Unfortunately when you have children, they do not come with a user guide! Parents and caregivers frequently have challenges with young children, difficult children, and teenagers. Counselling may involve offering education, parenting styles, preparing for parenthood, how to manage a new baby, how to manage teenagers, discipline, examining your parenting habits. Lifespan also helps couples support and manage separation & divorce when children are involved. Groups are a great way to meet others who are experiencing the same problems that you are. Lifespan runs small groups which are carefully matched to meet the needs of each participant. Your psychologist may offer you group-based options at the right time for you. Lifespan group sessions provide education and therapy in a stimulating and entertaining format which are non-threatening to those who attend. Examples include assertiveness skills, parenting skills, adolescent parenting, behavior management, social skills, managing disabilities, addictions, job searching. Motivational counselling is used to assess an individual’s ability and willingness to confront and manage change. For some individuals, ambivalence or being unsure about change can be challenged. For others change is something that individuals are ready for but do not necessarily know how to implement or make this happen. lifespan psychologists will support your request to change and help you with the steps required to do this. This will be followed up with individuals over time in a supportive and positive environment. Lifespan provides critical incident stress debriefing, (CISD). This is “psychological first aid” and involves supporting, informing and empowering a small group after a threatening or overwhelming traumatic event. For example, sudden death, suicide, accidents and victims of crime. The aim of CISD is to enhance group cohesion, and provide unity within a group. Typically this may involve immediate support from 24hours after the incident to several weeks or sometimes longer following the traumatic event. Following CISD Lifespan offers ongoing support to groups and individuals who may require ongoing involvement. Lifespan have a number of support groups available depending on individual needs. These groups are for clients who have received treatment. Support groups are informal and are lead by experienced facilitators. They include providing education, meeting others with similar issues, and sharing experiences in small groups. Life coaching is a positive psychology approach that enables you to plan goals and work through ways to achieve these throughout your year. Goals may be anything personal such as self development, relationship, sports, work, leisure or social. We have psychologists who provide life coaching and support the process of your goal setting and help you to move forward in a positive way throughout the year. Life Coaching is being used in more any more sectors and businesses throughout the world and is a way of enabling the individual to develop their strengths and look at ways of challenging areas for growth in a positive and motivational way. Lifespan has psychologists and a dedicated addiction recovery doctor available to assist you or a loved one. One of the keys to managing a problem with alcohol or other drugs is to approach it at the right time: when you are ready. If you are not ready to deal with these issues, then a detailed assessment is the best starting point. An assessment will identify where you are at now, and what changes you may wish to make in the future. The approach to treatment involves educational and motivational techniques to assist with making change. Different individuals may have different requirements, for example, young people, parents, caregivers and whanau. Family support is an important aspect which is available when managing a family member with substance abuse problems. Following a referral from ACC, Lifespan has psychologist who are experienced working with individuals who are experiencing psychological difficulties as a result of a physical injury. Clients include those adjusting to a Traumatic Brain Injury (TBI), Spinal Cord Injury, or with Post Traumatic Stress. Sensitive claims is ACC funded and includes assessment and counselling for individuals who have experienced sexual assault or sexual abuse. Counselling is available to children, young people and adults. Shame and guilt are often barriers to seeking help. Fear of what may happen is also a common feeling. The new ACC Integrated Service for Sensitive Claims (ISSC) is designed to make the service readily available for clients and in a way that is confidential and sensitive to client needs. Please feel free to call us and we can help you work through the best way to manage your needs. Lifespan’s Nutritionist offers nutrition advice specific to you, your body, your mind, your goals, your budget, and your lifestyle. By combining their love of food with evidence-based nutrition advice they will provide you with an individualised dietary and lifestyle plan that is simple, achievable and practical for you. When studying at secondary or tertiary level, sometimes the pressure and stress that students go through seems too much to manage! By obtaining support, students may achieve desired outcomes, with better efficiency and more enjoyment. Lifespan psychologists have specialised experience with student issues. Problems frequently dealt with include: how to navigate the educational system, stress management, time management, managing deadlines, preparing presentations, public speaking, how to plan for and prepare essays and assignments and how to keep motivated. Further skills include: balancing student life and financial pressures, basic and advanced study techniques, exam preparation as well as relationships, emotional problems, self-esteem problems, confidence, procrastination, bullying, motivation and adults returning to study. Lifespan also will offer career assessments and in-depth interviewing to explore your strengths, interests and special skills. Recent research has demonstrated that meaningful employment is one of the top factors for affecting your health! Lifespan provides professionally proven support by psychologists who specialise in workplace placement. For example, this includes adjusting to workplace change, redundancy or simply looking for a change. Lifespan offers assistance with CV writing, cover letters for employers, interview preparation and job-seeking within a friendly and positive environment. Many corporate and business environments are exciting, dynamic and yet stressful. Increasingly, companies and individuals, partners and families who feel the strain, are seeking professional support. Lifespan provides confidential assessment and management plans for those experiencing workplace stress. Examples of workplace issues include redundancy and job insecurity, coping with workplace adjustment, new roles, time management and overwork and work/life balance. Lifespan have psychologists who have a specialist interest in sports psychology. Psychologists who have an interest on Sports Psychology interventions may provide interventions to address goal-setting, motivation and self-confidence development, how to improve training and performance, stress-management, avoiding burnout. Frequent problems dealt with include confidence development and performance anxiety, managing disappointment and moving forward. All sports and exercise enhancement are covered. Debt counselling may be required for individuals, couples or families to support during times of change relating to finances. Redundancy, debt, divorce, and changes in financial situation are common situations which benefit from counselling. Lifespan can provide your company, organisation or club with whatever training is required. Events may be a series of presentations, one-day workshops or “one-off” customised events. This may include addressing topics such as: preventing stress and burnout, drug addiction, parenting, thinking positively, motivation, work-life balance, your mental health, managing disabilities, beating the winter blues and surviving Christmas! Your Lifespan coordinator will discuss and plan with your spokesperson every detail as part of the planning assessment, and then implement your training requirements in a stimulating and appropriate format for your group’s needs. Lifespan is proud to be a premium education facility for training and further education for medical and allied health professionals, specialists, as well as nursing, teaching and management practitioners. Lifespan has senior psychologists with international experience and specialised training in the provision of professional supervision. Following graduation and during early years of employment the years which are most critical to gaining experience are those which are supported by highly trained supervisors. Lifespan offer the availability of professional reports on request. These may include reports for a variety of reasons. Reports may also include third-party requests from ACC, Immigration Department or Workplace reports. -Being more mindful, CBT (cognitive behavioural therapy) what is it & can it help my anxiety? Our women’s group meets once/month & covers a topic presented by a Lifespan professional. Topics include: coping with the work-life balance, assertiveness, communication, relationships, self-care, being more mindful, getting the most of our life, beating the winter blues, health & well-being. Our blokes meet once/month and cover a topic presented by a Lifespan professional. Topics include: stress management, coping with the work-life balance, assertiveness, communication, relationships, self-care, anger management, being more mindful, getting the most out of life, beating the winter blues, health & well-being. Mindfulness sessions are available. These are available 1:1 or small group sessions. Mindfulness is about achieving a state of calmness whilst focused on the present moment. It is about accepting your thoughts & feelings & physical body sensations. 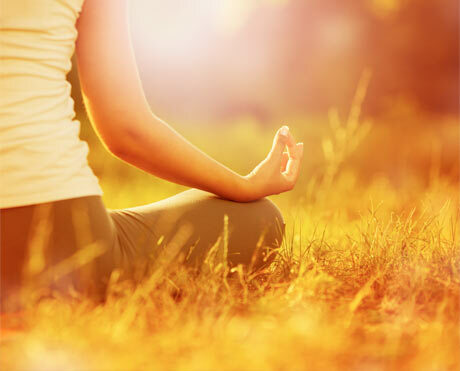 Mindfulness classes and relaxation classes include teaching you strategies and techniques so that you can incorporate mindfulness into your daily life. Lifespan has several clinicians who are trained in mindfulness techniques. Yoga-several small group classes are available each week at Lifespan and also 1:1 yoga teaching. All classes are 1 hour each and allow the development of yoga techniques, breathing & relaxation. Lifespan is able to provide an experienced and highly skills yoga teacher to meet the needs of our clients. It’s a great way to end your busy day. Bring a mat & wear comfortable clothing.